Top Fuel Racing is an indoor kart and bike racetrack which is suitable for all ages and levels of expertise, even first timers. Lesser able bodied drivers can also take advantage of the Baby Driving School and special facilities on offer. Top Fuel Racing allows children to experience the excitement of driving in a safe and controlled environment. Delfini Mini Karts are available for little ones (4 plus) and children over 130 cm get to ride Fun Kid Karts (approx 11 years of age). While children over 5 years old can try riding Mini bikes and 12 year olds and above can race Pit bikes. Top Fuel Racing will supply racing suits, crash helmets, under helmets and rub protectors if you don't have your own. Don't forget to bring a pair of gloves (even ski ones) and make sure you wrap up warm during the colder months as the track isn't heated. Courses are available every day from 17.00 to 19.00 and 14.00 to 16.00 on Saturdays and Sundays. For prices and further details please contact Top Fuel Racing directly as prices are subject to variation. 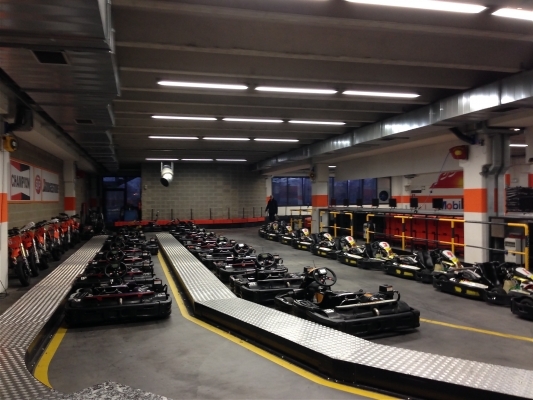 As at January 2014 Kids Kart Courses cost €35 per course or €150 for six courses. 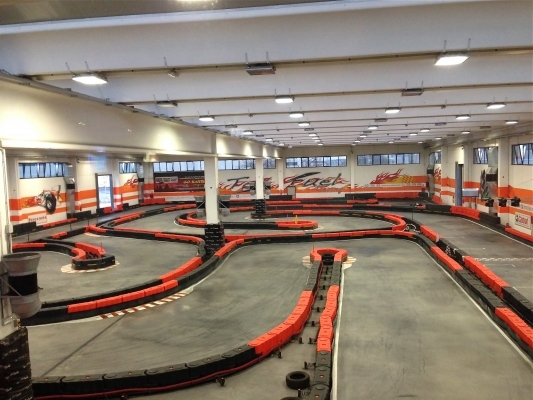 Each kart course lasts 30 minutes while bike courses last 20 minutes. Both courses are part theory and part practical. A €5 twelve month membership fee is payable if you wish to rent karts or bikes and use Top Fuel's facilities. Groups of 10 people can book the Gran Prix experience, with a five minute qualifying lap. Otherwise, why not relax in the spacious indoor bar or open-air terrace, which offer a selection of drinks and food, while watching drivers race round the track through the enormous glass window. Top Fuel Racing will also cater for birthdays and corporate events. Birthday guests are awarded trophies and medals.